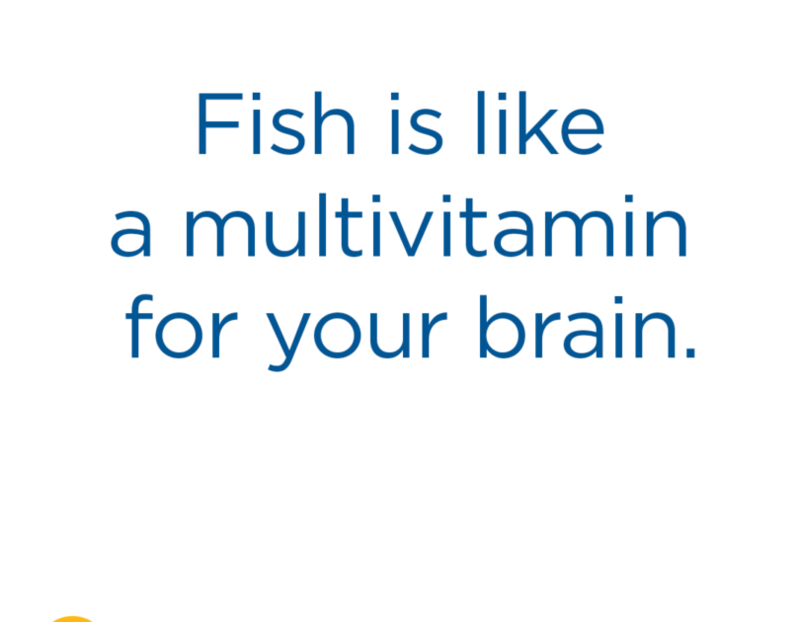 Brain Food: A third of the brain’s key functional units are made up of omega-3 fatty acids. 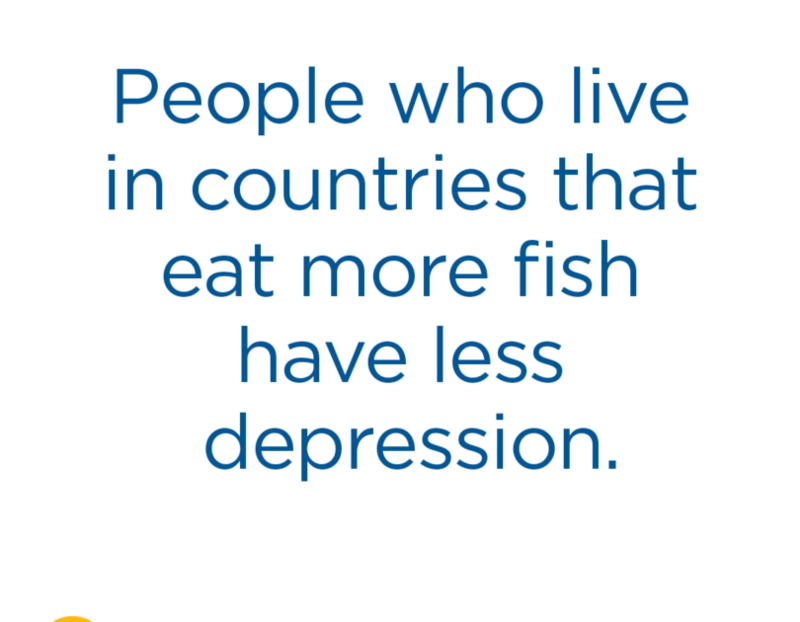 A UCLA study shows that people who eat fish frequently have 14 percent larger brain hippocampus — the big memory and learning center. 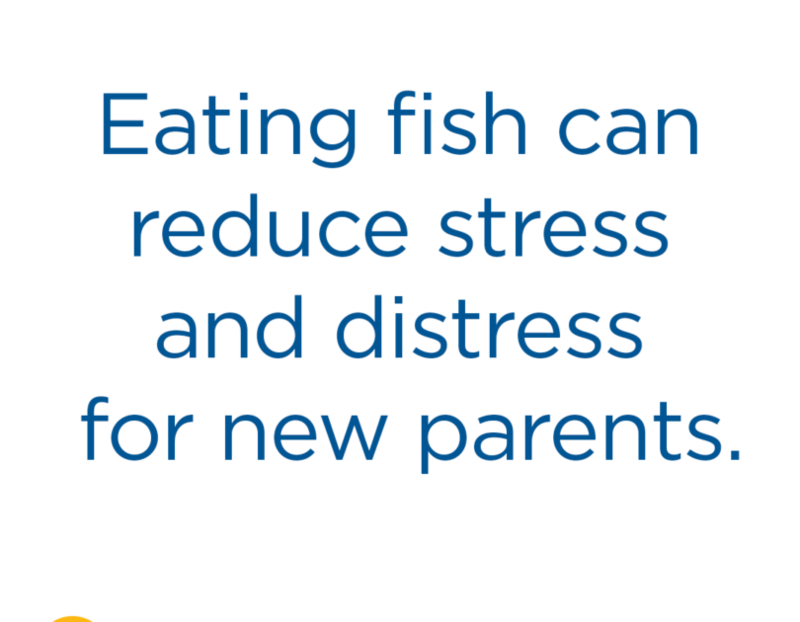 It’s especially important to eat the recommended amount of fish for moms during pregnancy and for infants through age 2 because this is the most rapid time of brain development. Lighter Tastes: Start with milder white fish like Alaskan pollock or canned tuna, which can taste and look lighter than other oilier fish. Try mixing tuna with full-fat or reduced-fat plain Greek yogurt; the extra creaminess will make it taste less ‘fishy’ for a tuna fish sandwich — or dip served with tortilla chips. Watch a junior chef make a tasty pan white fish. 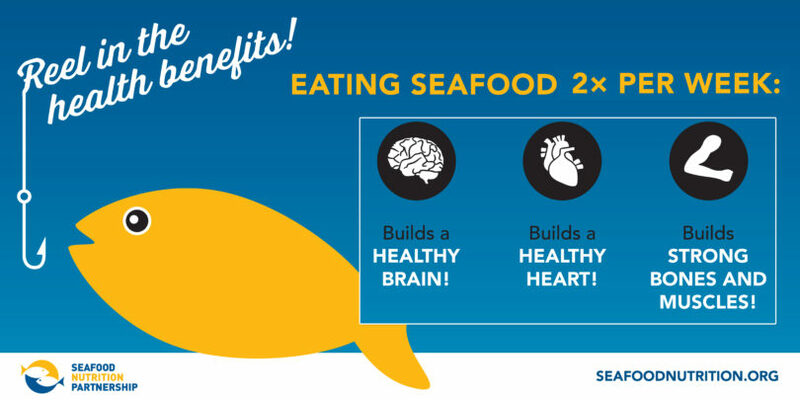 Make Fish Familiar: Tacos are definitely kid-friendly. You can try shrimp or a white fish taco for your next meal. Add fat-free or low-fat cheese and sour cream — yummy! You’re simply adding it to a dish they already love! Check out this fish taco video.